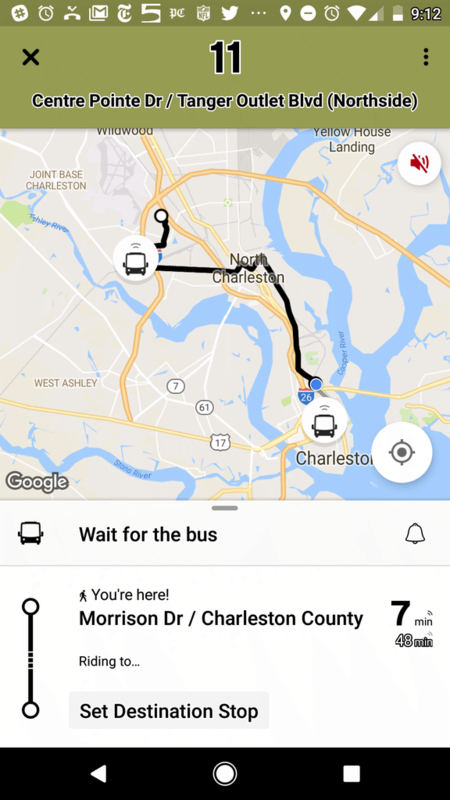 Transfer Center in downtown Charleston to Coleman Blvd. in Mt. Pleasant, including stops at Patriots Point and Waterfront Park.